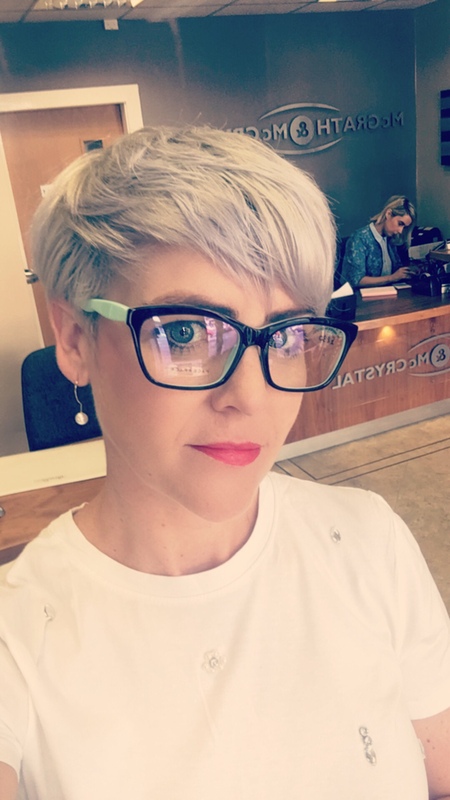 I have been a glasses girl for almost 25 years but over the last few years I have been wearing my contacts more and more. 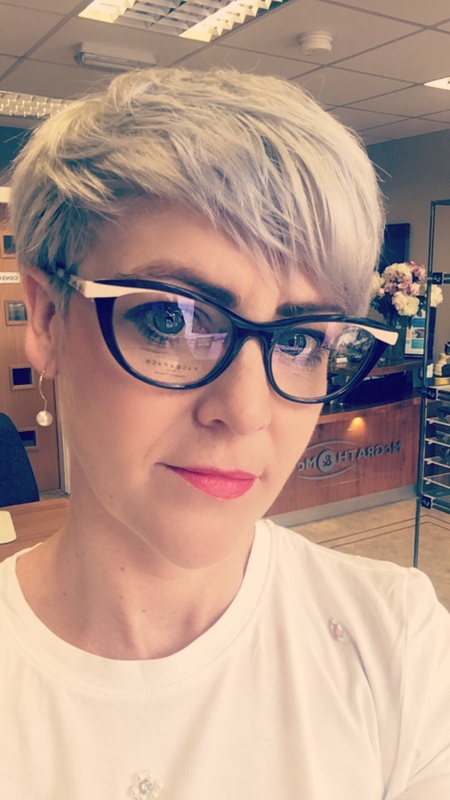 So I liked the idea of wearing glasses again not only to give my eyes a rest from contacts from time to time but it’s a nice change as well and there are so many stylish frames out there, that I’m always swooning over. 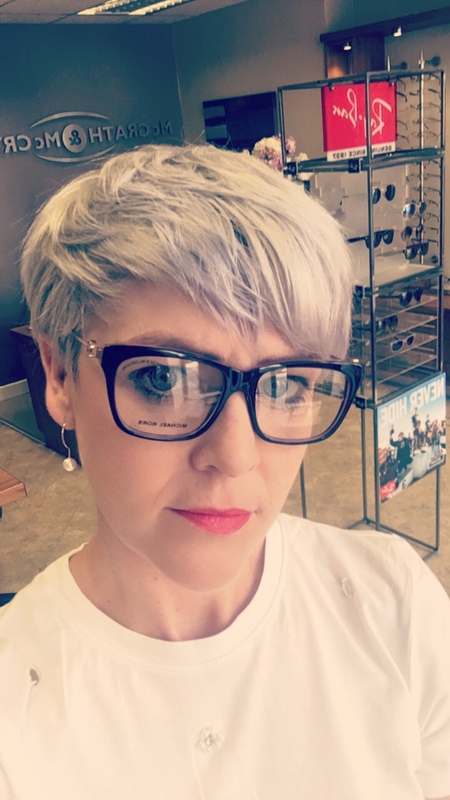 In the past I have had some nice frames but it’s been a while so I thought it’s about time I got a fresh pair. 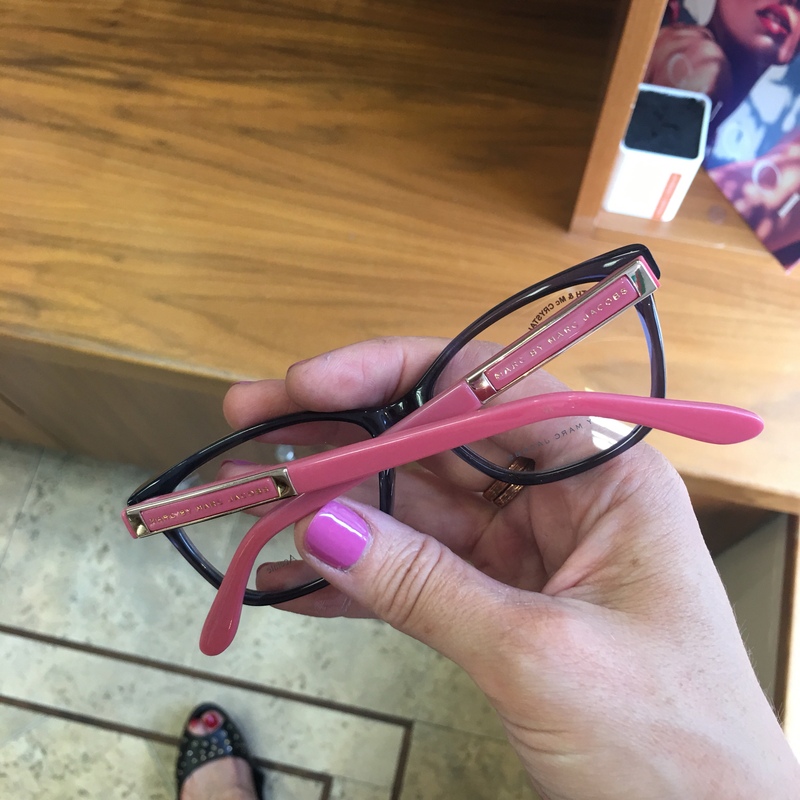 So over the last 6 months I was constantly on the lookout for a new frame and searched high and low. 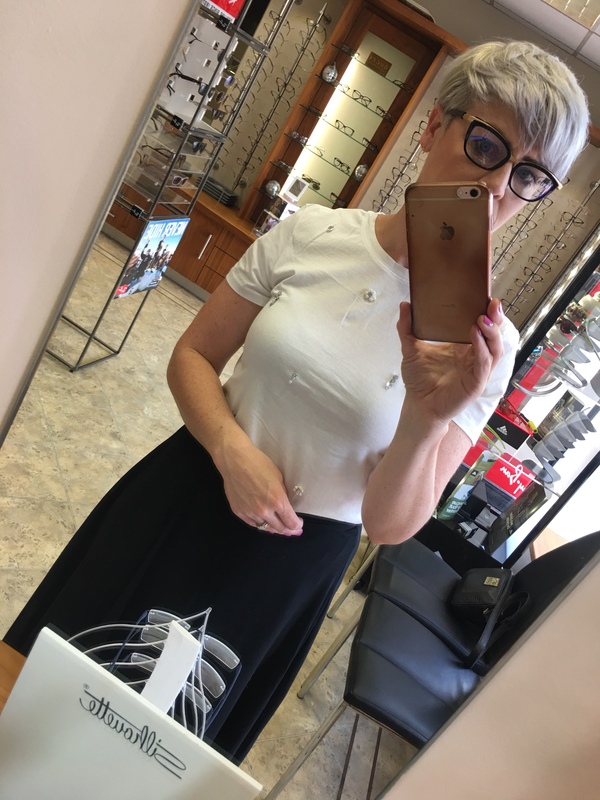 I always seen lots of people wearing lovely frames but when I went in search I found it very hard to find what I was after. 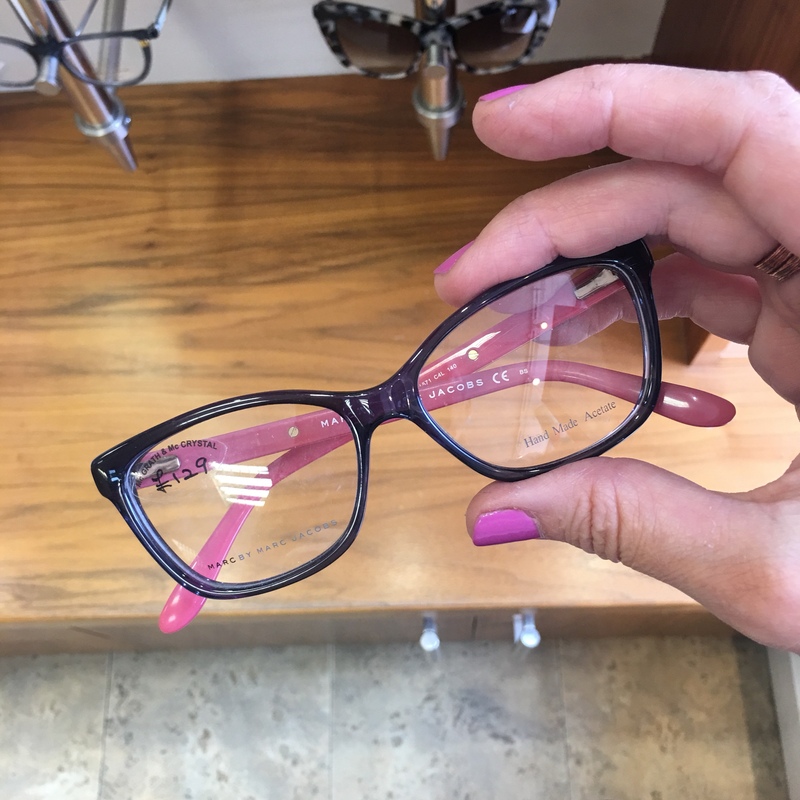 I was particularly looking for a black pair as I have a pink and navy pair already. Place after place I searched and I could never see something that I really loved so I thought I’ll just keep looking. 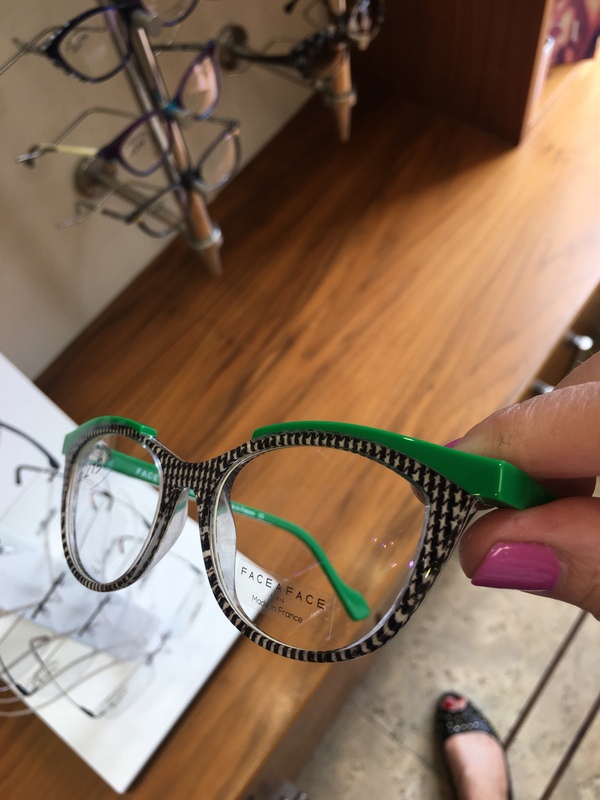 If you are a glasses wearer you will know they don’t come cheap and it is quite an investment, so I wanted to make sure I found a frame I absolutely loved. 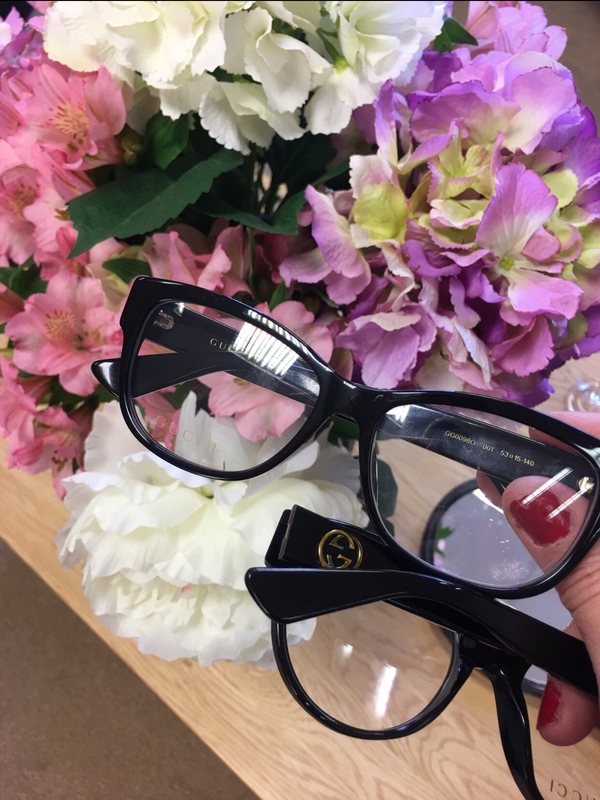 So as it happens I was invited to a bloggers event at McGrath & McCrystals Opticians’s in Omagh back in May as they were launching their latest GUCCI range. Talk about good timing as I was almost giving up at this stage. 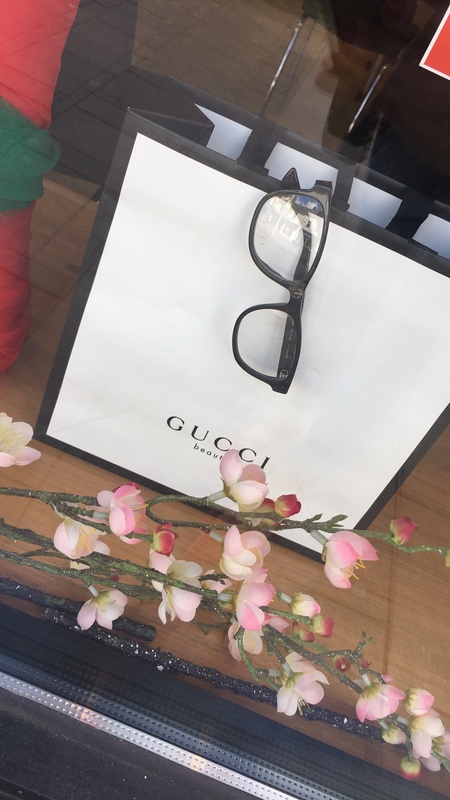 So you can imagine how excited I was when I got to see the full GUCCI range they had on offer not alone all the other brands and frames that hey carry, I literally was spoilt for choice. 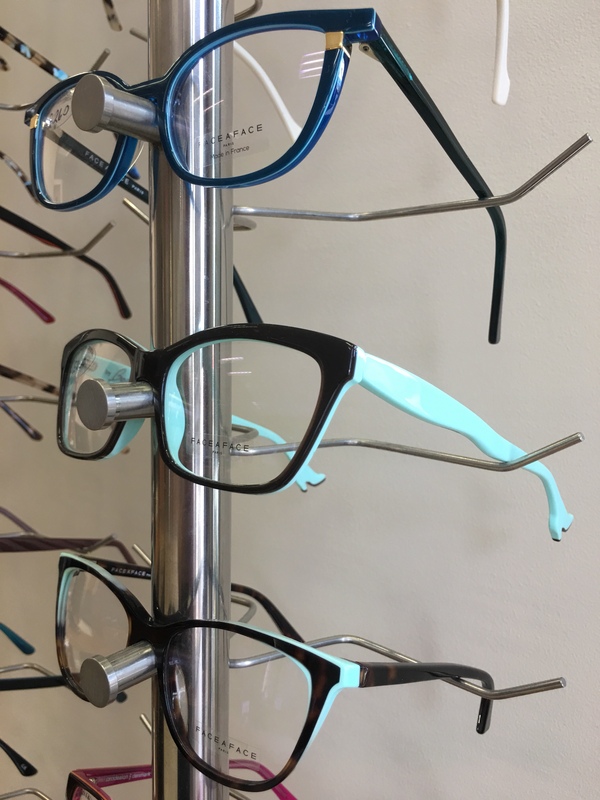 With so many stylish frames to choose from, I was now finding it difficult to select one. 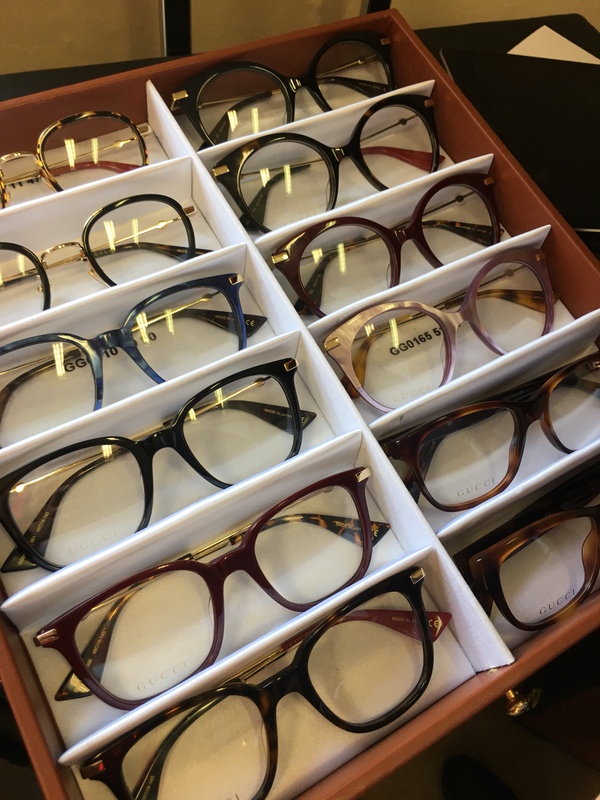 So after trying on lots of different frames and getting advise from the team I came away from the event and had narrowed it down to 3 pairs. 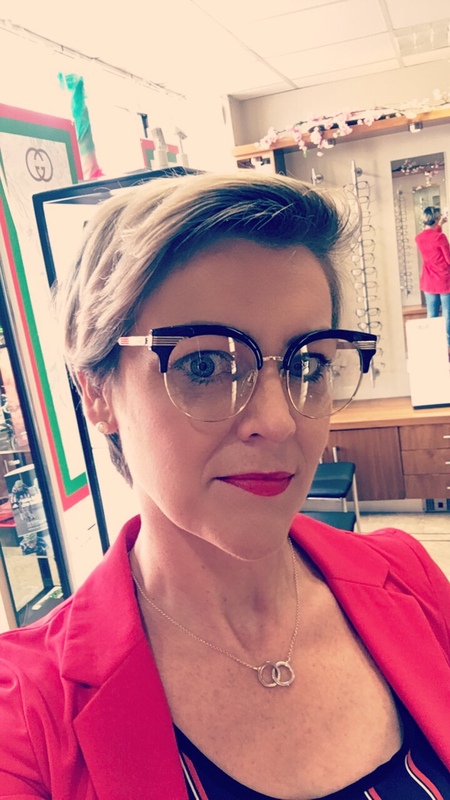 That said there was one pair I was more drawn towards as I thought it suited me best, but I wanted to be 100% sure so that’s when I asked my followers, you lovely lot, to give your opinion. Sometimes we need a little advice and reassurance when making a decision to ensure it’s the right one. After an overwhelming response from so many people, one frame was a clear favourite, which was the one I also drawn more to, so that give me peace of mind. This is it below, more an oval shape as opposed to the others that were square and round. 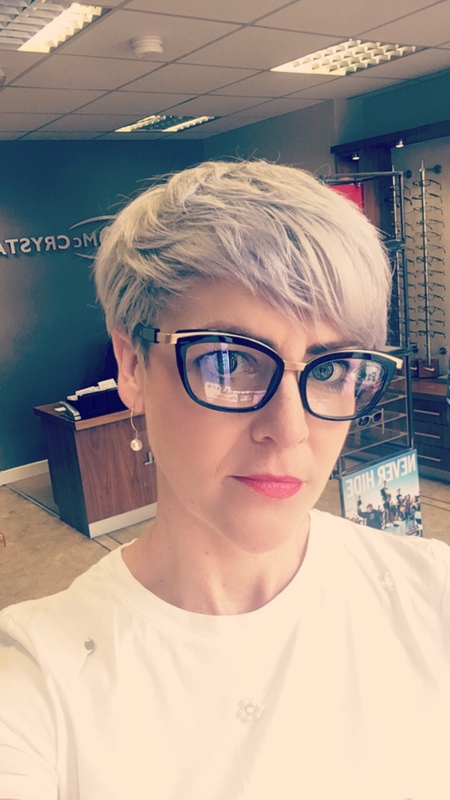 So now that the frame was basically decided upon all I had to do was book my consultation and eye test so I could get my glasses ordered. 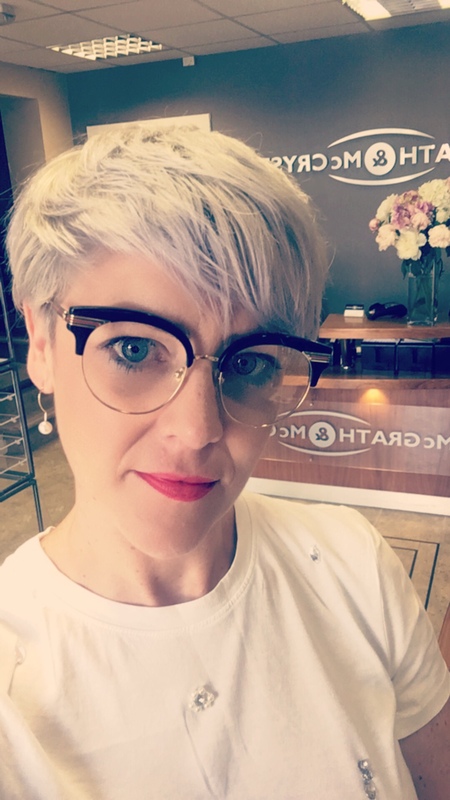 So last weekend I went along to McGrath & McCrystals Opticians to get things in motion. 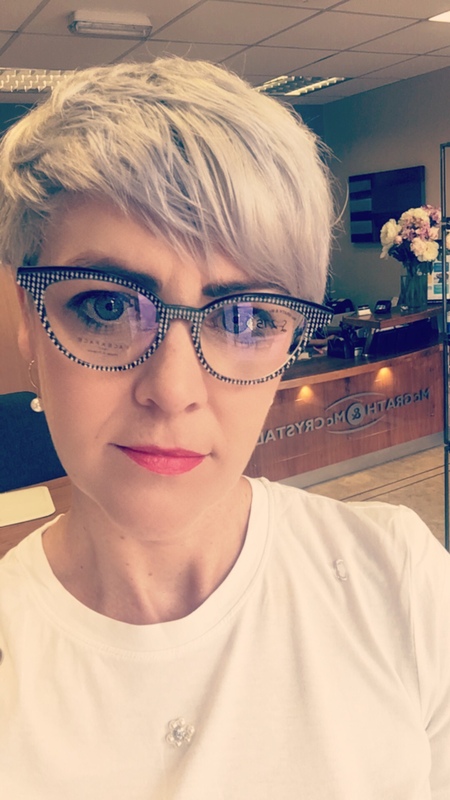 As a patient I had a great experience and they carried out a very thorough examination and took extensive time to check my vision and ensure the correct prescription for my frames. In addition they also took scans to check the health of my eyes and thankfully they were given a clean bill of health. 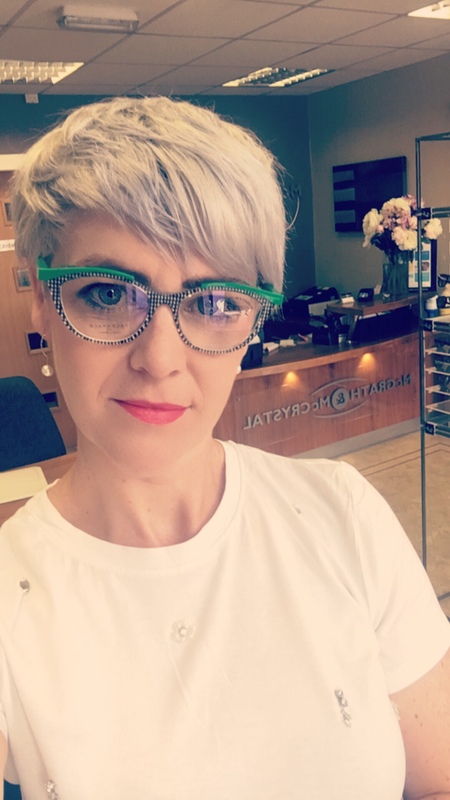 Getting regular eye tests is so important and they explained that our eyes don’t usually hurt when something is wrong, so it’s key to get regular checks. 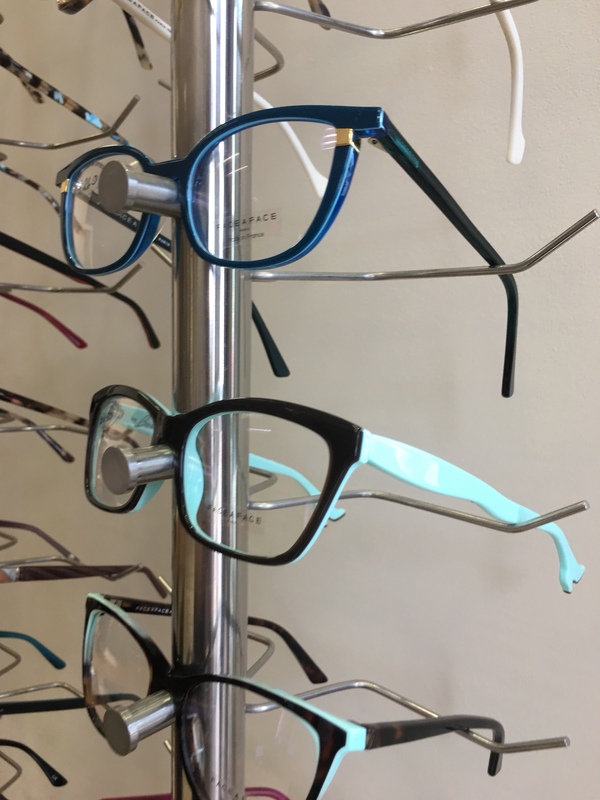 A sight test can pick up any early signs of eye conditions before you are aware of the symptoms, many of which can be treated if found early. So don’t’ put it off, make it a regular thing. 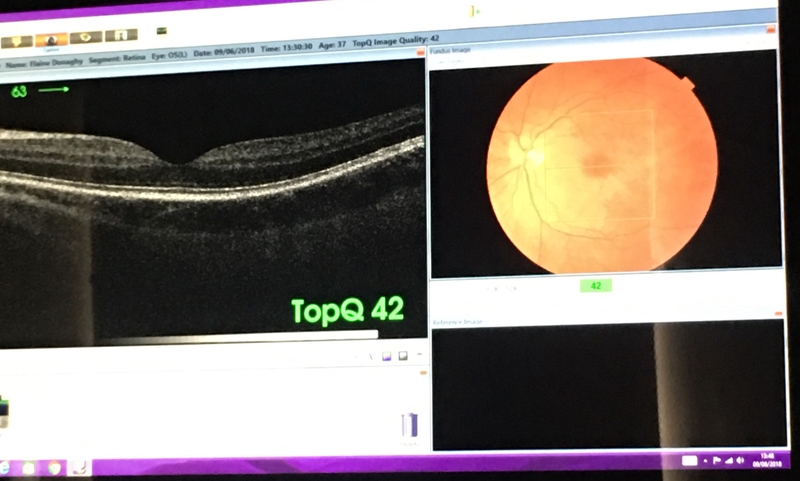 Below is the scan from my eye, it’s quite incredible what they can see and they talked me through the different aspects of it. 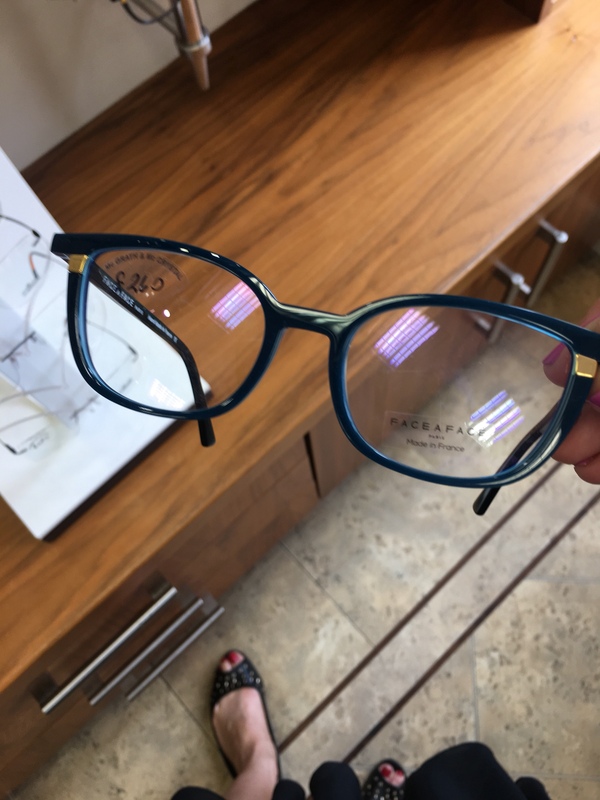 So once all the scans and examinations were done it was back to the fun part… more browsing just to be sure… and maybe this was a bad idea as I started to ‘eye up’ so many other frames that I liked and confusion set in and I was torn again. 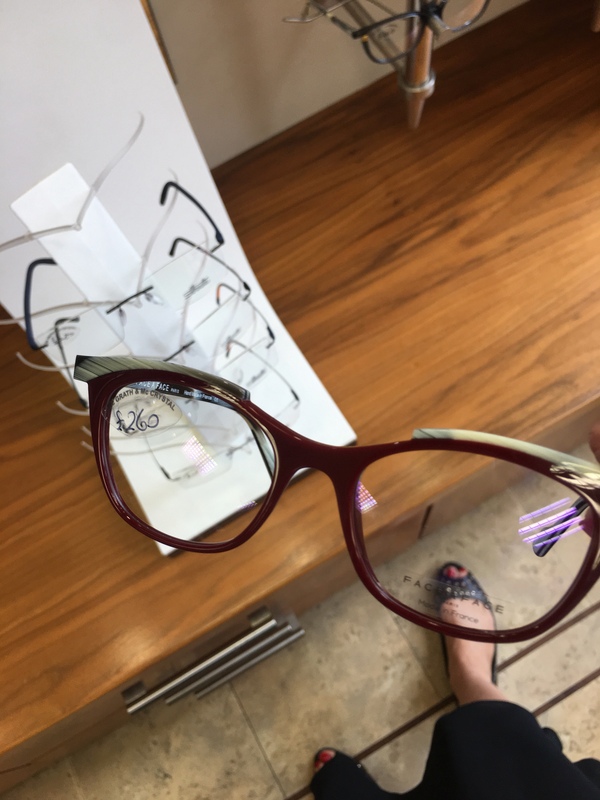 So in the end getting a pair was not the challenge it was making a final decision as there was so much to choose from. 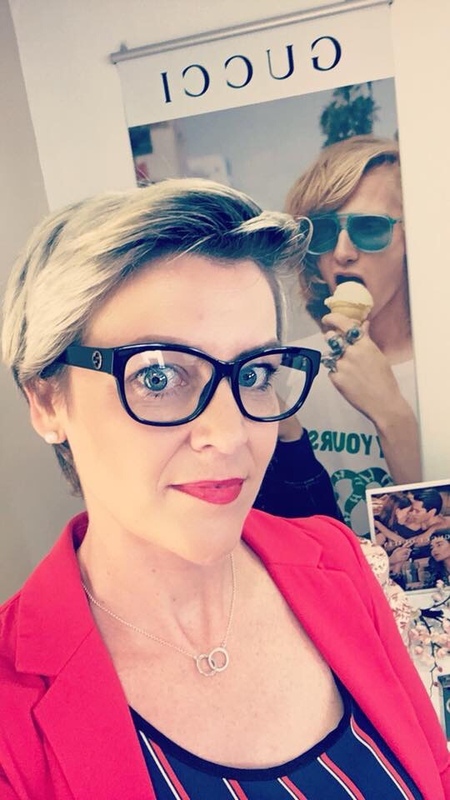 But I did finally make a decision and I do love what I picked and now I can’t wait to pick them up in a weeks time and show you what I finally went for. 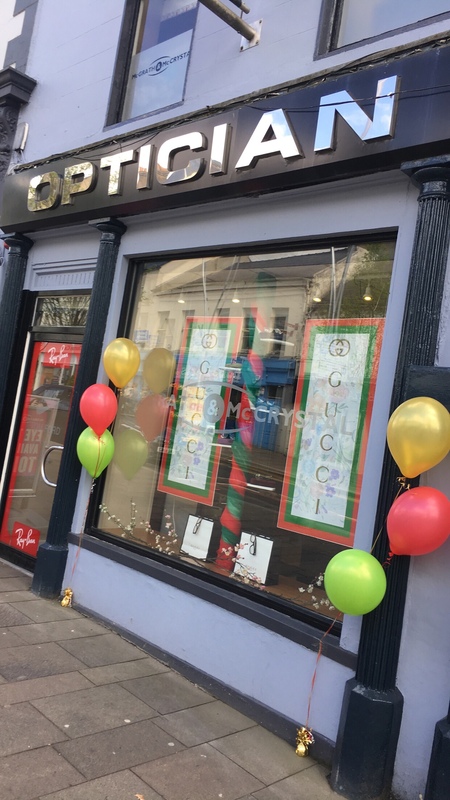 McGrath & McCrystal Opticians carry such a wide range of frames to include lots of different designers including GUCCI, Tom Ford, FaceaFace, Michael Kors, Rayban and Marc Jacobs to name a few. 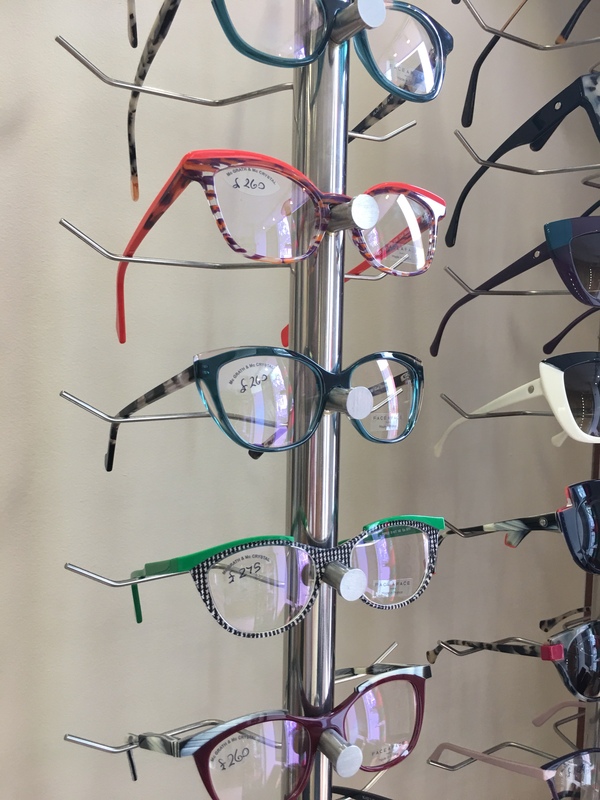 There really is so much to choose from with lots of very stylish options… I really recommend you pop in to have a browse yourself. 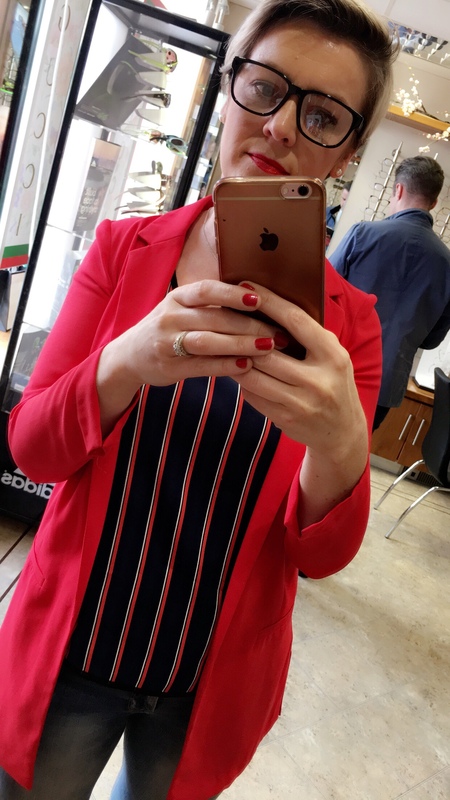 Check back here to see what I picked in the end and I really hope you like them as much as I do!